Millcreek Township offices are located at 3608 West 26th Street, Erie, PA 16505; phone: 814-833-1111. Photo: Nicholson House and Inn, ca. 1825, 4838 Ridge Road, Millcreek Township, Erie County, PA. 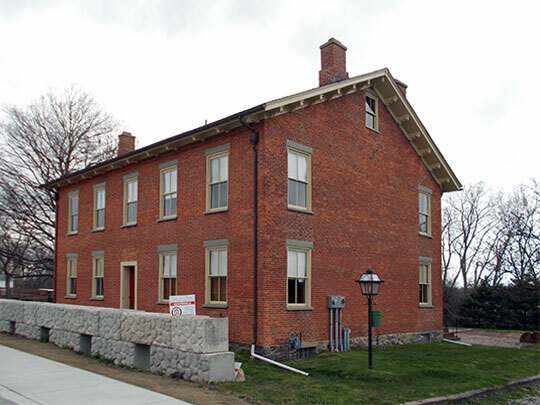 Served as a stagecoach stop and inn along the Erie Extension Canal. The District was listed on the National Register of Historic Places in 1985. Photographed by User:Pubdog (own work), 2013, via Wikimedia Commons, accessed June, 2013. Millcreek was one of Erie County's original 16 townships. According to the 2010 census it was the 14th largest municipality in the State of Pennsylvania. The entrance to Presque Isle State Park is located in the township. Millcreek comprises the western and southern boundaries of the City of Erie. Millcreek received its name from the stream which became known as Mill Creek before the county was organized.